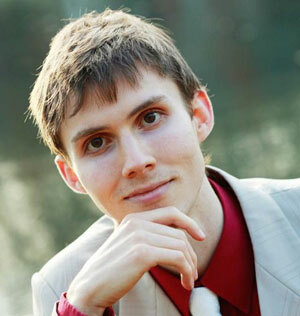 An Internet Marketing Whiz Kid — Tom Corson-Knowles — Helping you get found, get liked, and get more business online. HE LAUNCHED HIS FIRST entrepreneurial venture in grade school. Now he is just 26 years old, living in Hawaii, traveling the world — and living his dreams. Tom Corson-Knowles is one amazing young man, and I was fortunate to speak with him recently. Tom’s response to that question, aside from revealing a sense of humility and grace, was to talk about the importance of fundamentals — and that, my friends, is the key to everything you ever wanted: Keep it simple. The video of our discussion is embedded below. It was one quick hour of rapid-fire wisdom from a guy who not only reads and listens to the masters — but follows their advice. The same thing, by the way, and the same success with our endeavors … is available to you and me. It is a principle of The Roadmap to Freedom: Decide what you want, then begin walking in that direction. Don’t allow the disappointments of your past to negate the promises of the future. Sales is all about communication. If you have a worthy product or service, then once the customer knows enough about your offer … the sale is automatic. Don’t get so caught up in making money that you forget to take care of yourself. Health is more important than cash. If you are a “morning person,” schedule your most creative work for early in the day. If a “night person,” do it at night. Perform paperwork and tedious activities during your off times, not during prime time. Match your individuality to your schedule. Smart people learn from their own mistakes. Wise people learn from the mistakes of others. Observe the results others are getting from their habits. Emulate the outcomes you want. Don’t indulge in activities that lead to the outcomes you don’t want. Think about success as a long term, not a short term, venture. Don’t shoot for the quick kill, but for the measured advance towards your dreams. The key to making good decisions is to avoid making bad decisions (a paraphrase of a principle taught by Charlie Munger). 80% of the marketing for a new book should be accomplished before the work is ever published. There is no such thing as a self-made person. We all rely on one another. If you want to be successful yourself, empower those around you to be successful. You don’t know it all. Long term success never comes from cheating or from taking shortcuts. Lasting success comes from focusing on fundamentals. Are you wondering whether you might be an entrepreneur? Ask yourself, “What do I value?” If you want more freedom … go for it. If you don’t; work for someone else. For me: My work is my life, and my life is my work. There is absolutely nothing wrong with NOT being an entrepreneur. 1. Gratitude … even the bad stuff is some of the best stuff. Learn from your mistakes. 3. Follow your inner guidance, and when the voice of wisdom speaks: Take action! Tom … you are an absolute inspiration. You’ve 20+ books to your credit and the world by the tail. Grow for it, my friend. I wish you the very best. Nice interview with Tom- I am in my late 40s and haven’t yet achieved a large success online, but I am following Tom and have bought his video course which is excellent -So young good to learn from. Thanks, Paul. Tom is an incredible guy.